Ever wondered what the world would be like if driving decisions, including who controls the steering wheel, were taken out of your hands? Well, the race is on between car manufacturers and a search engine giant to develop the cars of the not-so-distant future – vehicles that can actually drive themselves, leaving you to do much more important things than concentrate on the road during peak hour, or on that road-trip with your besties. Who cares if you enjoy driving? Certainly not Google, Toyota, Lexus, Nissan or Audi, who are among the companies already in the race to come up with a vehicle that’s smarter than you, and less of a risk on the road. And it’s possible that these vehicles could be commonplace in less than three years! It’s already a hassle getting ready for work in the morning, but with a self driving car, you can get a little extra sleep-in. Imagine being able to shave, or put on your make-up in a comfortable, relaxed atmosphere while your car takes care of the stress of the morning commute. You could enjoy your breakfast and morning cuppa, catch up on the news of the day and check your emails, all before you even arrive at work. Just think how much more productive you’ll be. More rested, less stressed, on time for a change and caught up on your work. Brownie points with the boss could mean a promotion. You’d be seen as a self driven dynamo – all thanks to your self driven car. Long trips will be a pleasure, just like flying business class. If you’ve ever had to stop at a service station for a serious caffeine ingestion after a few hours on the road, you’ll know that it’s not foolproof. And it can be downright dangerous when the urge to nod off while driving becomes something you can’t control. With a self driving car, you can simply put on your favourite snooze music and drift off without a worry in the world. You’ll wake up at your destination completely refreshed, and loving your self driving car even more. It used to be a crime. But with a self driving car as your designated driver, you’ll never have to worry about being picked up by RBT. Everyone knows that ‘going the back way’ is not always goof proof, and anyone who operates heavy machinery such as a car after drinking alcohol deserves everything they get. But nobody likes to leave their car at a pub, club or venue overnight in case it gets stolen – or as is sometimes the case, you forget where you left it. But with your self driving car, the heat is off and you’re free to lead the social life you so richly deserve, and know that in the end, you’ll get home safe and sound. Anyone who owns one or more teenagers knows that much valuable personal time is invested in getting those teens to and from their sporting and social activities. Sometimes, you’re even required to be in two places simultaneously, which is a hard ask. Dropping one off at the cinema and picking up three from soccer, then driving one to netball will no longer be a headache with your self driving car. You just program it to pick up and drop off all day long, while you get on with more important things like enjoying your weekend. So a self driving car will not only ‘baby sit’, but help resurrect a sagging social life. Cars that parallel park with minimum driver assistance are so yesterday – in fact you may even own one. But your self driving car will take parking to a new level, and save you loads of exorbitant fees at parking stations. It could drop you off for a spot of shopping wherever you want, go find itself a cost-free place to park, or even go back home until you’re ready to press a button on your smartphone, and get it to come pick you up. So the money you save on parking fees can go where it belongs…off your credit card. This is not something out of a sci-fi movie, or an episode of The Jetsons. Google has been testing its Prius version for a couple of years already, Volvo’s XC90 is built and will start testing next year, Nissan’s Leaf is in the race too, and ready to test on suburban streets. Just think how self driving cars will affect the revenue from road traffic offences. Talking on a hand held phone while driving will no longer cost you licence points and a fine…you could even play Candy Crush Saga, and the police would have no choice but to turn a blind eye. Technically, speeding, parking, red light offences etc. could become obsolete. In fact, you probably won’t even need a driver’s licence. 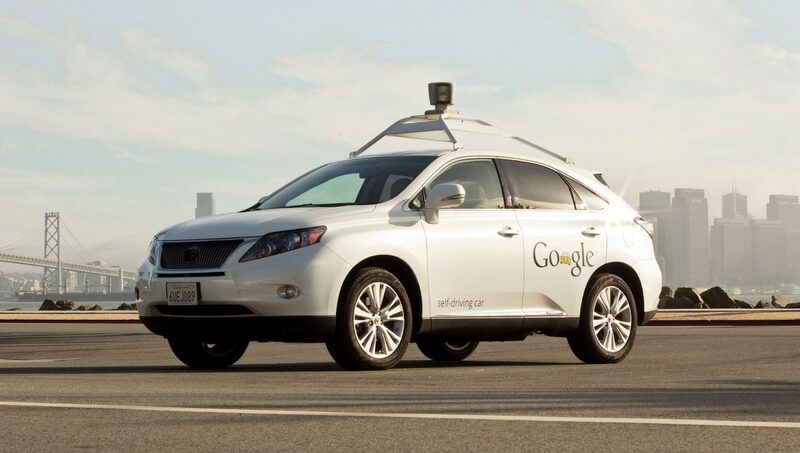 Road rage will be a thing of the past, as self driving cars will politely be able to communicate with each other. Of course there will be a few glitches to iron out. For example what if your self driving car does get into an accident with another self driving car? How will they exchange insurance details…?